Establishing a call center for your small business doesn't have to break the bank. By partnering with the experts at Absent Answer, you can setup and deploy a personalized, fully staffed call center solution to serve your call handling needs. Your company’s phone calls are important. You need a solution that ensures every call is answered and handled per your expectations, 24 hours a day, without the costs associated with investing in new technology, hiring management, or staffing additional employees. Instead of approaching call center management as an internal operation, Absent Answer can deliver a fully outsourced solution that delivers the same level of service your callers would expect from in-house personnel. By customizing our call center software to the exact needs of your business, training our staff on your processes, and enforcing strict quality assurance standards to constantly gauge performance, we’re able to deliver a high quality call center experience that’s flexible enough to serve a diverse array of business needs, from routine telephone answering services to more involved business operations such as order support or after hours customer service. Open 24 hours a day, 365 days a year, Absent Answer never closes and is always available to handle calls on your behalf. No more need for fixed customer service hours or limited availability; by partnering with Absent Answer, you can keep your call center open around the clock. Based in Florida, we are a U.S. based contact center with nearly three decades of experience answering calls for businesses nationwide. Call center outsourcing has a negative stigma, but Absent Answer has a proven formula that allows us to consistently buck the trend, delivering superior call center solutions at a fraction of traditional operating costs. Better yet, we’re able to do it without sending your calls offshore or taking shortcuts that negatively impact your brand. Instead of settling for offshore call center solutions or, worse yet, failing to establish a contact center that meets the communication needs of your stakeholders, Absent Answer can deploy a team of call center agents that are trained to answer calls for your business. Call center outsourcing services allow you to focus on operations, not manning the phones, increasing personnel headaches, or running a new technology shop. Our 24 hour call center is available 365 days a year to answer calls in the name of your company and handle inbound communication as an extension of your business. Why outsource your call center to Absent Answer? Let’s explore some of the top benefits. Our call center never closes. As your call center partner, that means you don’t have to close, either. We can take calls in the name of your business 24 hours a day. Whether you need us or not, we’re always available. With Absent Answer, you can extend your office hours and remain accessible to your customers. Every call to your business is important, from customer service inquiries down to someone who dialed a wrong number. Each telephone interaction held with your company is an opportunity to improve or degrade a valuable relationship. By using our highly trained customer service staff to manage your call center needs, you gain a skilled team of professionals who will treat each and every call like it’s important. Establishing your own call center operation would be a major undertaking. After all of the logistics and technology costs are out of the way, you have fixed staffing costs for employees that may not be fully utilized. Our call center pricing is far more cost effective, based on the amount of time that’s actually spent handling your calls. Call centers handle a variety of calls. Some focus on customer support for a specific product or department, while others process calls across the entire company, answering calls from different divisions and locations from a single central office. 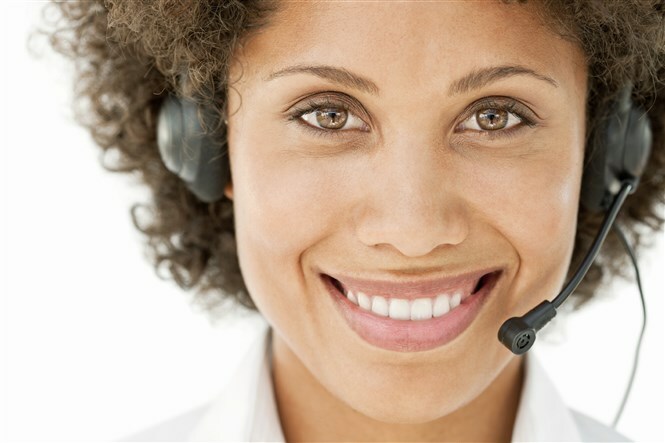 Whether you need a third party call center to help with excess customer service calls stemming from a new product launch, after hours order entry coverage for your e-commerce website, or a 24 hour help desk to help meet your service level agreements, we can customize our systems and call taking instructions to meet your specific needs. Establishing a call center for your business is easier than you think. It’s as simple as working with our team to establish instructions for handling the calls expected on your account, training our agents, and then sending your calls to our facility. From there, whenever you need us, we’ll be available. Whether we’re providing backup call center coverage during busy periods, taking over for your office after hours, or providing 24 hour coverage, we can handle everything from sporadic emergency calls to continual customer support. Here’s a simple breakdown of what you can expect when establishing an inbound call center partnership with Absent Answer. Without a call center, your callers may be stuck with voicemail when you’re unavailable and long wait times when your busy. But with Absent Answer, our agents are always there to answer live, answering each call in the name of your business. There’s no one-size-fits-all approach for delivering call center solutions, so our team is armed with your precise instructions and handles each call per your expectations. We can perform initial call screening and route the call to the appropriate department, complete trouble tickets in your system, use web based software, take messages, and more. Whether you’re a growing e-commerce business trying to organize inbound customer service requests for the first time, a multinational corporation in need of a single point of contact after hours, or a small business trying to make a better impression, the professionals at Absent Answer are ready to make your ideal call center experience a reality. Inbound call center solutions from Absent Answer are as flexible and customizable as you need them be. Everything from the way we answer calls, the scripting and instructions we follow, the information we have access to, the actions we’re authorized to take, the systems we interact with, and more, can be tailored to your exact specifications. Need fixed coverage from the time your office closes to the time it reopens? We can help. Need a team of customer service representatives who know how to assist your customers with placing orders through your website or ordering system? We can lead the way. Want to ensure every call made to your business is answered professionally and routed appropriately? We’re always available. Below are just a few examples of the call center scenarios we deliver for our customers. Don’t see your need on the list? Contact us today to discuss your situation and develop a custom solution for your business! After Hours Call Center Coverage. Why send callers to voicemail or rely on an automated system after hours when you can deliver live agents who can respond in real-time? Thanks to our 24 hour call center availability, our clients never have to worry about losing touch with their customers. Your regular office staff can handle calls during business hours, then our call center can take over for the night until you return. Order Taking Call Center. The internet is great, but technology doesn’t always work, and some customers may feel more comfortable speaking to someone than placing an order over your website. If your business relies on processing orders, our call center staff can form your very own order entry department, standing by to answer routine questions, provide basic technical support, escalate issues to specialists on your staff, and place orders for your customers directly over the phone. Overflow Call Center Services. Don’t leave callers hanging when your existing call center operation or office switchboard experiences a spike in phone calls. Our Overflow call center services ensure you always have backup available for inbound calls, at a fraction of what it would cost to maintain the same staffing levels in-house. With overflow call center support from Absent Answer, you never have to miss a call or leave a caller waiting on hold. When your phone lines are busy, excess calls overflow to our call center, where our agents answer in the name of your business and handle calls as an extension of your brand. Inbound Direct Response. Absent Answer’s inbound direct response services provide skilled telephone agents who are available 24/7 to help increase sales and provide a better return on your marketing investments. By answering every call live, our direct response agents ensure you capture every lead, response, and sale resulting from your direct response efforts. Our agents can help qualify and manage leads, guide customers through applications and other data entry processes, complete web-based forms, deliver information, and more. U.S. Based Call Center. Language barriers and cultural differences can lead to less than stellar customer service interactions. These experiences can have a negative impact on customer satisfaction, brand reputation, and sales. Our call center is based in the USA and staffed with native English speakers who can help minimize friction and exceed expectations on each and every call. Trained Call Center Agents. Absent Answer’s call center representatives are among the best in the business; highly trained, experienced, and committed to delivering exceptional service that our clients are proud to pass on to their customers. When you work with Absent Answer, you instantly gain a friendly, responsive customer service team that’s ready to deliver stellar interactions on your behalf. On-call Scheduling Software. If your your organization rotating on-call technicians or specialists assigned to specific product lines, service areas, or call types, our specialized On-Call Scheduling Software can ensure the correct person is contacted every time. When changes are made, they instantly update our system so that we reach the correct person. Web-based Software Integration. Our call center agents can utilize your web-based systems to perform routine business processes, such as opening maintenance tickets or scheduling appointments. By using your existing software applications, we help improve efficiency by eliminating data entry costs, avoiding redundant sources of information, and maintaining existing processes that customers have already come to expect. Fail-safe Systems and Disaster Recovery. Our service quality is just one reason that successful companies turn to Absent Answer to help them manage and run their contact center operations. Our facility has taken great care to make sure we have redundancy in our call center operations. We realize that being available on a 24/7 basis for you requires us to maintain excellent up-time, and we have invested in the technology to ensure we never skip a beat. Customized Call Scripting and Routing. Our sophisticated software allows us to become an extension of your brand. We are able to handle sales inquiries, provide information and process orders. If your company has mobile personnel or multiple facilities, we are able to quickly and efficiently connect callers to the most qualified representative. We can even rotate inquiries automatically using our customer referral software. At Absent Answer, we’ve been handling the telephone communication needs of businesses since 1985. Each and every call, message, customer service issue and sales inquiry gets handled accurately – 100% of the time. That kind of reliability allows you to focus on growing your business while we worry about handling your important calls and serving as your customer service department. The personal touch that your callers feel is the same personal attention you can expect every day. To your employees and partners, Absent Answer is an accurate and reliable contact center partner who knows you and your business. We are your customer service agents who never miss a call, take a day off, or call in sick. Why choose Absent Answer as your contact center vendor? Absent Answer works closely with you to develop service benchmarks and create a consistent training program to ensure that all agents are fully trained to provide your prospects, customers, staff, and vendors with attentive service and exceptional attention to detail. All our agents work and live in the USA. There is no offshore outsourcing. We are based in Florida and every call is answered from our facility. Do you answer using our brand name? Yes! We can answer calls however you’d like. A common greeting is to announce the name of the company, thank the caller, and ask the nature of the call. How do you determine whether a call is urgent? Emergencies are determined based on the nature of the call and whether it aligns with your policies. You can allow customers or on-call personnel to determine whether calls are urgent or not, or have our call center agents cross reference reported issues with a list that we keep on file. Our call center can be setup to follow the exact policies dictated to your customers. Do people still call our office line or toll free number to reach you? Yes, callers can use the same published business numbers to reach our call center. The only difference is that you forward those lines to us when you want us to take calls, and the calls reach our agents instead. If you wish, you can also establish a dedicated customer service number that always comes to our team. Ready for a call center provider you can depend on and trust with your customer interactions? We are ready to help. Contact our account team today to discuss your contact center outsourcing needs and learn more about our affordable pricing plans.